If you are considering embarking on your first cruise, there are unlimited destination and itinerary options. You may be uncertain what cruise line to take, how many days to spend onboard, and what to bring with you. The choices vary according to budget and time at your disposal, and almost all your idealistic whims are catered to on a cruise. However, just as there are many things you can do on a cruise, there are some things to avoid if you want to make the most of your holiday experience. Here are a few hints before you sail off into the sunset. When sourcing a suitable cruise, make sure to match the cruise with your travel expectations, personal preferences and style. All cruise lines are different, and a little prior research will ensure you are situated in the right cabin, on the right ship, and surrounded by like-minded people. An awkward social misfit prone to bouts of depression will not be conducive to vacation fun. If you are an extrovert who wants to socialise, choose a companion with similar aspirations. If you prefer to catch up on reading while lounging in the cabin, make sure your companion is comfortable with that also. Choose your travel companion wisely and be mature enough to respect each others preferences. As the week goes on, your clothes may feel tighter. It’s a mystery easily solved; the buffet did it! Remember to pack some loose fitting clothes in case of a fashion emergency. Cruising is often an international experience with the same legalities as flying. Remember to keep your passport in a safe, secure and handy location for easy retrieval unless you want to start clambering amongst everyone else’s belongings to find your possessions. Take along a small backpack for day trips on shore. Have a great time with new-found friends at the bar, but cruising is no place for showing how much alcohol you can imbibe. Not only will you get lost on the way back to your cabin, there will be no face-saving escape from fellow revellers for the rest of the trip. Working on a cruise ship has its share of romantic appeal, but it is still a job after all. As much as the staff are trained to make sure you have a great time, they also want to enjoy their work, and showing your appreciation by word, deed, or even a small gift of thanks will make their day. The orange and yellow aloha shirt may look impressive on the deck by the pool, but once back home you may have limited opportunities to flaunt your new-found personality. It’s a good idea to limit purchases to a few personal treats and gifts for family and friends. Unless you live in Honolulu, the aloha shirt is frowned upon as business attire. 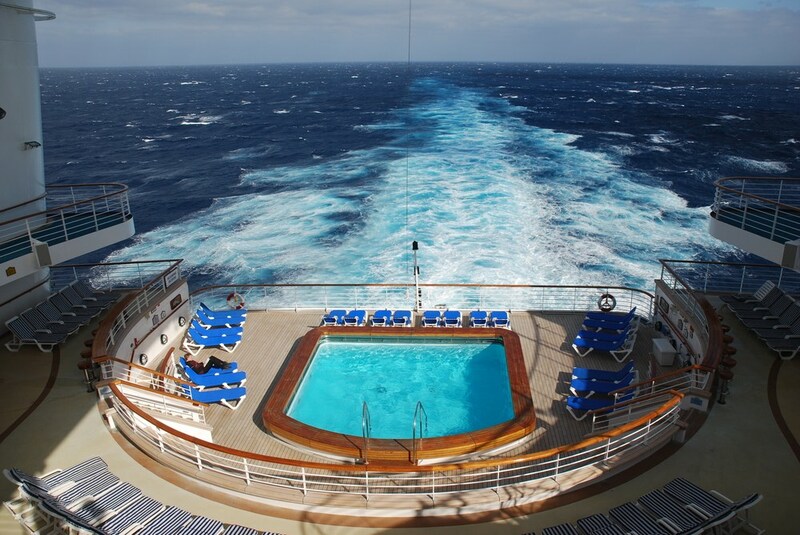 Just because you are on a cruise, it doesn’t mean the sun is any friendlier. A bad case of sunburn can force you to take time off from cruising adventures and day trips to exotic locations. Lather up and enjoy the pool deck. Just because you are on a Caribbean cruise you don’t have to look as tanned as the locals. We all know how much fun many people have complaining about bad service, imperfect facilities, and food prepared in unfamiliar ways. Don’t become an onboard sourpuss. Remember, you are onboard for the right reasons, but it doesn’t always mean absolute perfection on tap. Be respectful, grateful and polite and you will find yourself surrounded by new friends all having a great cruise. On one hand cruising is pampered luxury. On the other hand a cruise ship is a microcosm of humanity all trying to get along for a limited duration of time. By respecting ship etiquette and your fellow passengers the journey could become the adventure of a lifetime. Would you add other important things to my list? Very practical tips for a cruise vacation! My husband and I went on a cruise last year, and it’s easy to get carried away with the food, liquor and spending. I couldn’t agree more about deciding on (and sticking to!) your budget. The more you plan ahead, the better your time will be. Yes, I would add that you must (or at least should) get a room with a balcony. I’ve been on 2 cruises. One was in an interior room and one had a balcony. I enjoyed the one where I had a balcony sooo much better. There is nothing like falling asleep to the soothing sound of the ocean and waking up to the sun shining in the room. Choosing your companion wisely is SUCH good advice! You’re going to be stuck with him/her, and if you don’t have a clear idea of what they want out the trip, it’s not going to be pretty. I like your tip about taking loose fitting clothes, haha – definitely my experience! Your tip about choosing your travel companion carefully is spot on! I have some friends who decided to cruise together; they fell out on the second day and then still had 12 days left. The funny thing is, everyone who knows them knew it was going to happen; they’re just so different.